We are an independent family run company, established in Amersham in 1956, committed to helping our customers in and around the Chilterns achieve the style and comfort they seek for their homes. We supply and fit carpets from most of the major UK manufacturers, as well as wood flooring, Amtico, and Karndean. We are main agents for Hypnos beds, and we offer several ranges of bedroom furniture and upholstery. We make and hang curtains and blinds. The quality of what we sell is good, and our prices are keen and competitive. In our showrooms in Amersham and Gerrards Cross all our experienced staff are polite, friendly and knowledgeable. We listen carefully to your needs and we will help you make the right selection, whether it’s flooring, curtains, furniture or beds. We have built a strong reputation for service over the last half century. We see ourselves as a local business serving local people; you can trust our integrity and be confident that we will make your refurbishing project a positive and enjoyable experience. 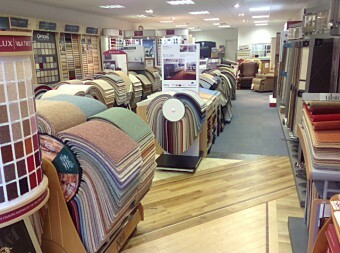 Call in to see us in our showrooms, or telephone and we can bring samples to your home.